This is not a neat list of toys and presents all children with Asperger’s will love, such a list would be impossible to compile. Instead, it’s a perspective on how to approach gift giving for children with special interests. Around this time of year I have many family and friends ask me what my kids would like for Christmas. My neuro-typical son is easy… Nerf guns, Neft darts and batteries for Nerf guns. My Aspie son’s list is a little harder to explain. He wants stuff like C++, a 3-D printer, computer memory, and Team Fortress 2 hats. Yeah, even his computer savvy uncle was stumped to find something to put under the tree for him from that list. 1. Skip the box stores – in all likelihood if there’s a toy at Walmart, Target, Kmart, etc. that an Asperger’s child wants, someone has already bought it for them. 2. Up the Age Range – Aspie’s are usually a little bit ahead of the curve so go ahead and get a kit for kids 10 and up for an 8 year old with Aspergers. 3. Think outside of the gift box – Not all gifts have to be tangible. Let the interests of the Aspie you’re buying for guide you to something that can’t be wrapped… maybe they would like a star of their own, a section of the rain forest, an adopted sea creature, a brick in the wall of their favorite monument, or their own domain name. 4. Custom is cool – You might not be able to find a t-shirt with that specific stink bug your Aspie won’t stop talking about but you can make one pretty easily even if you aren’t the most artistic. Many sites like Zazzle.com allow you to make custom products by uploading photos and adding text to make your own design. 5. 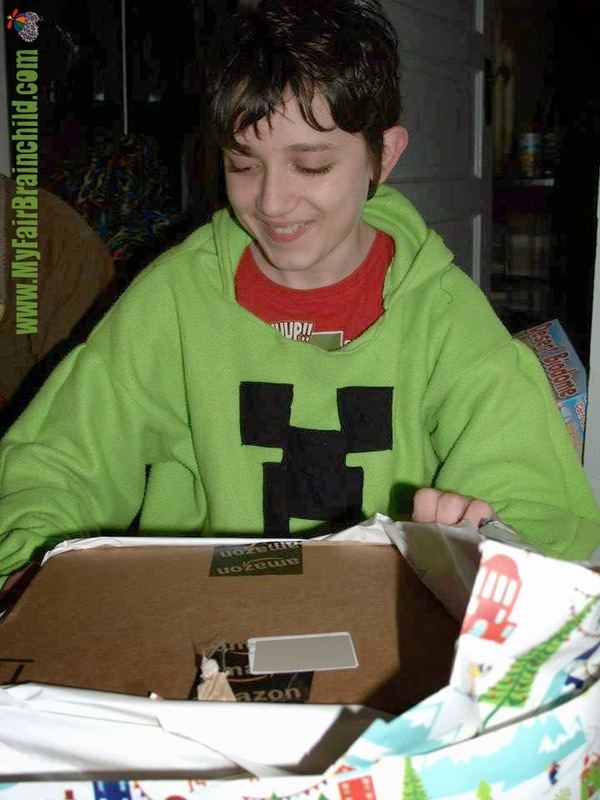 It’s never too nerdy – The more factual or informational a gift is the more an Aspie child is going to engage with it especially if it pertains to one of their particular interests. Seriously, fact sheets and subject-specific encyclopedias score big points. 6. Give a Group – Club memberships and season passes are extra awesome gifts for Aspies because it allows them to explore their interests and practice socialization simultaneously. The most important thing to keep in mind when buying presents for a child with Asperger's is that even if they don’t shout for joy and jump up and down with excitement when they open your gift, doesn't mean they don’t love it and aren't touched by the effort you made and the thought you put into the gift. An Asperger's child realizes more than they can express when people in their lives go out of the way to explore their interests. Investing more thought than money in their gifts will open opportunities for connection and communication which is the greatest gift you can give a child who has trouble socializing.